Who says you can’t enjoy eating delicious meals during the lenten season? 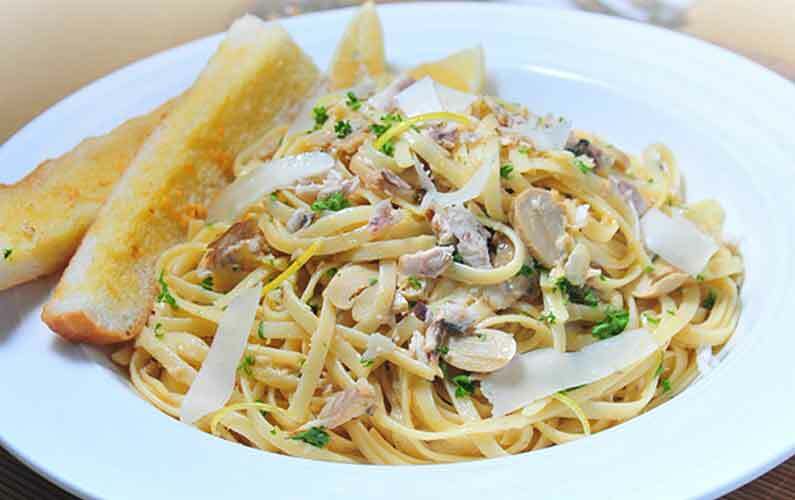 Food experts from Fisherfarms, the leading aquaculture food processor in the Philippines, say you can still make your tummy happy with mouthwatering recipes without using any meat. Before diving into cooking though,make sure that all of the ingredients that you will purchase are fresh and clean. Always wash everything if possible and to refrigerate ingredients that are perishable. Pasta is a go-to dish during Lent. Turn your average recipe into a fancier meal by adding Fisherfarms Deboned Smoked Baby Milkish! Cut the smoked milkfish into flakes. Make sure to get rid of the tough skin. Set aside on a clean plate and surface. Make sure to handle it with clean hands and utensils. Heat the pan and melt the butter. Sauté garlic, onions, and half of the smoked milkfish flakes when butter is already melted into a consistent liquid state. Carefully add white wine and cook for about 2 minutes. Add the rest of the smoked milkfish flakes, mushrooms, cream, and lemon zest. Season with salt and pepper. Toss the cooked pasta in the sauce while it is still hot and warm. Add lemon juice. Mix well and sprinkle generously with shaved or grated Parmesan cheese and chopped parsley to your preference. 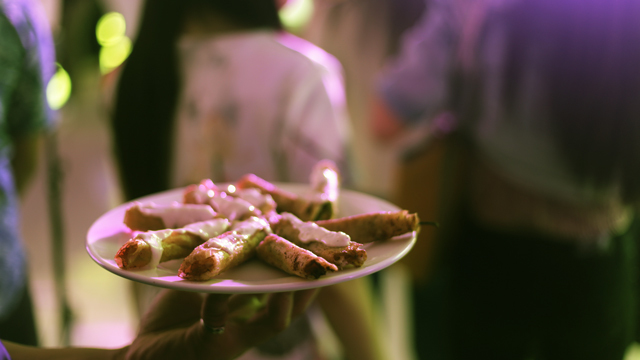 Try this classic Filipino dish with a twist! To perfect this dish, use Fisherfarms’ Gourmet Baked Rellenong Bangus. Make a slit on one side of each chili pepper. Remove the seeds carefully, then rinse under cold water and drain well. Make sure to thoroughly wash hands before handling other ingredients. Mix the Fisherfarms Gourmet Baked Relleno filling, garlic, and spring onion. Combine well and set aside. Carefull insert 1-2 cheese sticks inside each chili pepper. Fill each with the relleno mixture and place on each individual wrapper. Wrap the filled chili in lumpia wrapper with the stem exposed. Seal with a dab of water. Deep fry the dynamites in oil, 2 inches deep, for around 3 minutes over medium heat or until you see the wrappers turn golden brown. Serve hot with garlic dip mayonnaise mixture or sweet and sour sauce. Mini toasts shouldn’t be bland even when it’s Lent. Give your crostini an additional flair and flavor with smoked milkfish from Fisherfarms. Melt butter until it melts into liquid with thick consistency. Sauté garlic, onions, and smoked milkfish flakes. Season with salt and pepper to taste. Set in the refrigerator to cool. Make sure to cover the sauce to prevent other ingredients and food from the refrigerator from affecting the flavor. Mix sautéed milkfish with cream cheese well and then add the chopped tarragon. Reheat French baguette slices until crisp. 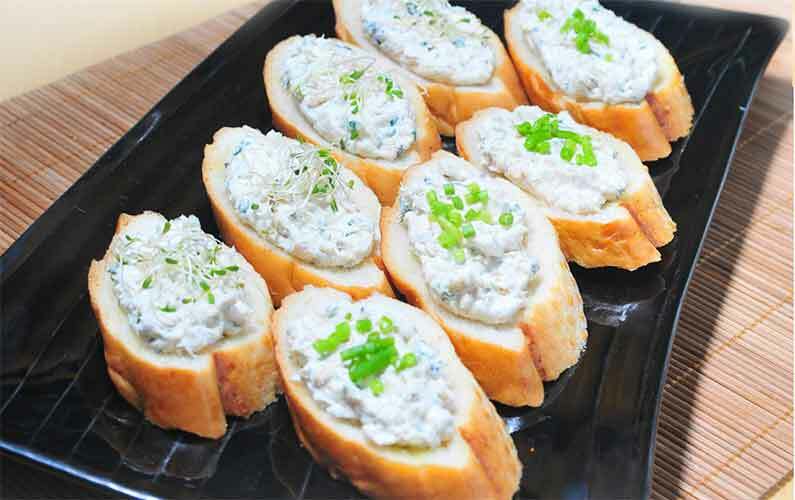 Serve boursin as a dip or spread on toasted French baguette slices and garnish with vegetable sprouts or chopped spring onions. Lent is a time for reflecting and praying. However, it does not mean that you can’t enjoy good food. Try the mentioned recipes and to ensure impeccable taste and flavor, use top-quality products, like those from Fisherfarms. For more information about their delicious meals, visit http://www.fisherfarms.ph.